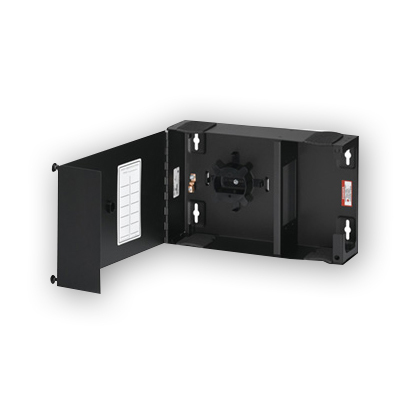 The enclosure shall mount on a wall in an 8"x13", 12"x14" or 17"x15" footprint. 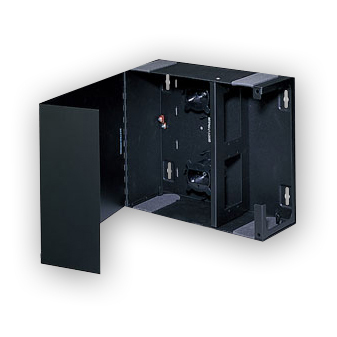 Adapters shall be mounted in metal mounting plates and attached to the enclosure using plastic plungers. 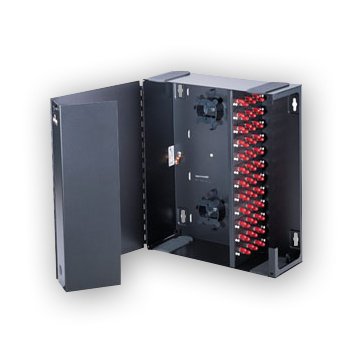 There shall be cable entrance ports in the top and bottom of the patch panel on both the distribution and patch sides. 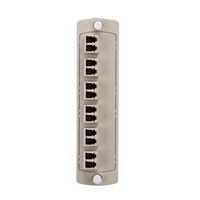 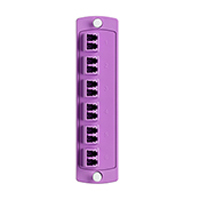 Cable entrance ports are designed with a strain relief post with a slot capable of holding a tie wrap. 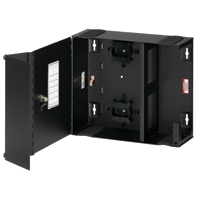 The enclosure shall provide strain relief in the form of a grounding lug and multiple tie wrap points. 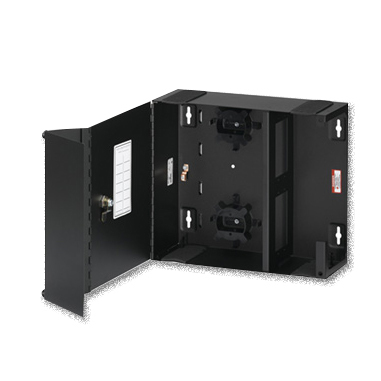 The enclosure shall have a plastic fiber management ring made of high impact UL 94V-0 rated fire-retardant plastic. This ring must be stackable and adjustable. A port identification label/card shall be provided. 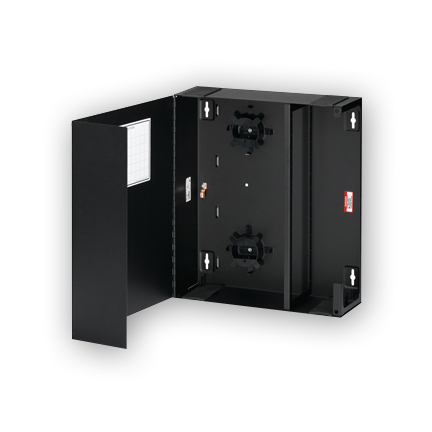 The enclosure shall be made of 16-gauge steel powder coated black. 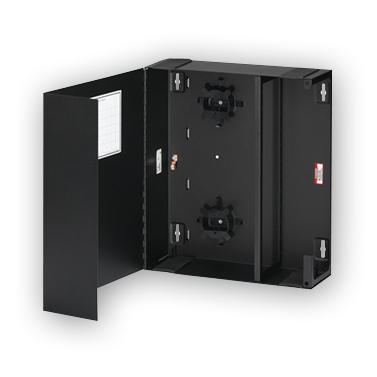 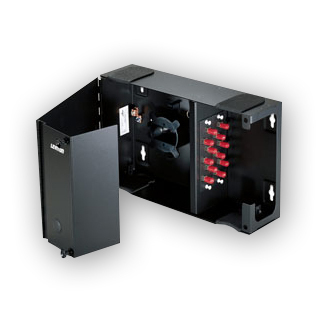 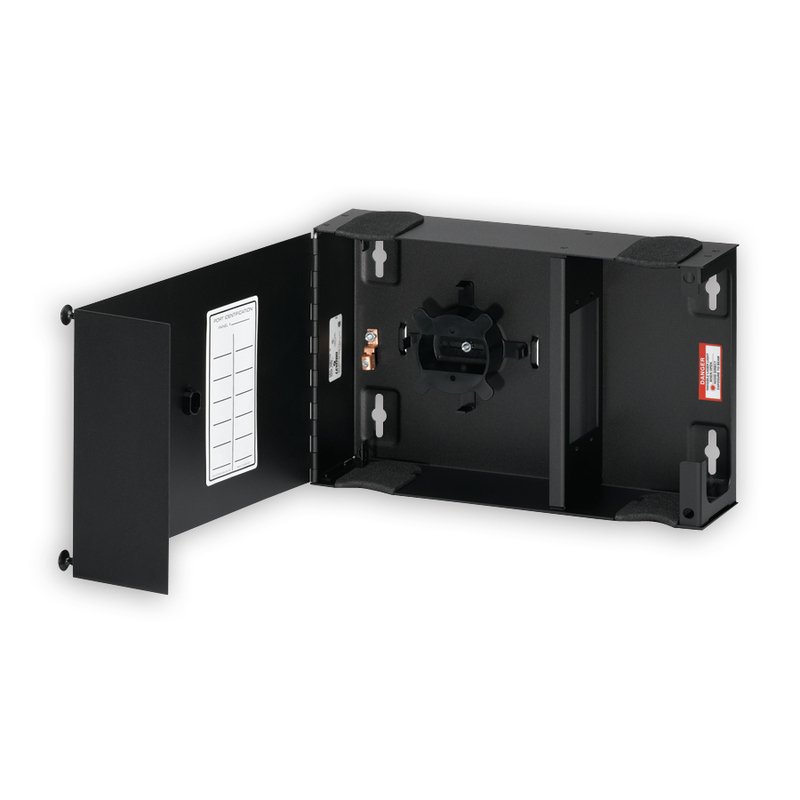 - Large enclosure includes eight plastic blank adapter plates to inexpensively fill up any unused areas — an economical and attractive way to leave room for expanding the enclosure capability.